Discover the TAGFOR win/win/win system. A single platform, many benefits for everyone! Build your customers loyalty offering them drinks, promotions, discounts, etc. directly in your business place. 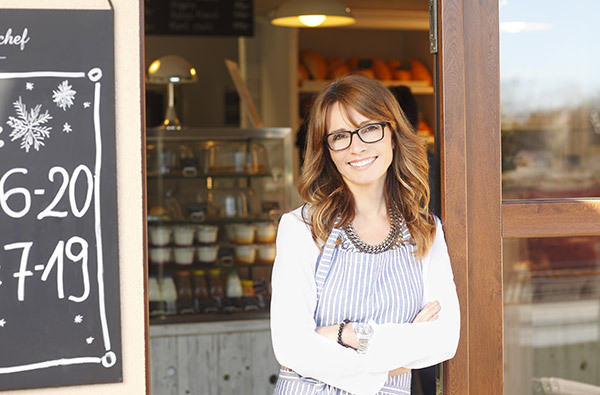 Your customers will appreciate these offers and then come back more often with family and friends, and will also promote your business by word of mouth. Earnings in percentage to the advertisements that your customers look, swipe and get directly in your business tagbox (look, swipe, get). By transmitting the advertisers’ promotions to your customers through the tagbox, you get paid back based on your customers’ actions (look, swipe, get). A double advantage for customers of a business or a store where the TAGFOR tagbox is present! 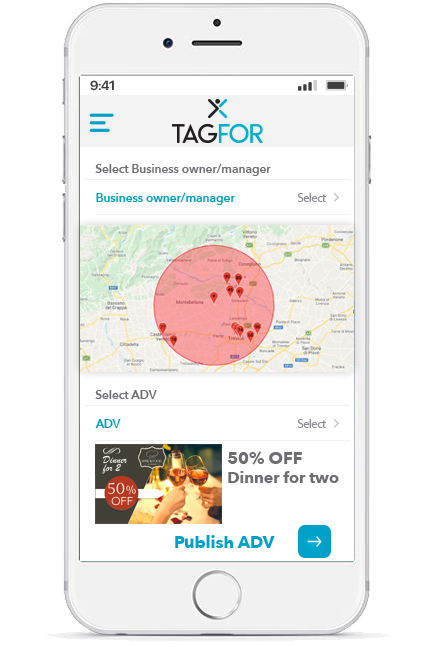 Customer can receive free drinks or discounts and promotions on services and products, and this leads them to return to businesses (TAGFOR POINT) that use TAGFOR. Customers also have the possibility, with a simple gesture, to access promotions offered by advertisers (TAGFOR ADV) on the tagbox: they must simply put their card near the tagbox to acquire the promotion/discount that interests them and, at the same time, to receive it directly on app in the smartphone. Easy and fast!